Properly cleaning HVAC systems requires removing the sources of contamination. 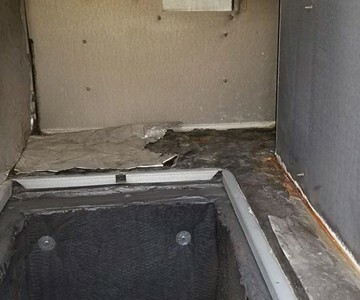 Source removal begins with use of one or more agitation devices designed to loosen contaminants from the surfaces within the heating and air conditioning system and ductwork. Examples of agitation devices include brushes, air whips, and compressed air nozzles or “skipper balls.” Agitation can also be achieved through hand-brushing or contact vacuuming. During duct cleaning, the entire HVAC system is placed under continuous negative pressure (vacuum) to prevent the spread of contaminants. Continuous negative pressure allows very fine particles to be removed from the system as they become airborne, ensuring that these particles are not released into the living space when the system is turned on after cleaning. This negative pressure also serves to extract the loosened contaminants, which are collected and removed from your home or building. Regards HVAC duct cleaning, do you clean under-slab cement ductwork? This is for an auditorium RA system with air inlets under seats and the duct sizes from mains 33″, 24″ to branch 8″ diameter ducts.